Whipped cream for garnish, with a sprinkle of cinnamon. Note: You can make this in a pie or tart pan. 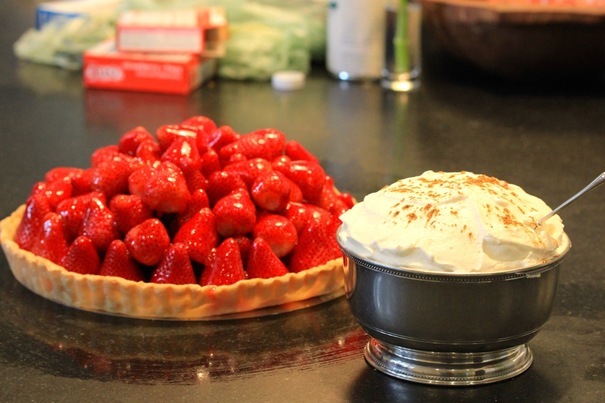 I used a tart pan for the sake of variety, but the deeper the pie dish, the more strawberries you can pile in. You can also buy a premade crust and throw this together in as much time as it takes to clean the berries and make the glaze. Using a mixer with a paddle attachment, combine flour, salt and sugar on low speed for 30 seconds. Roll out crust with rolling pin, folding dough in half to place into pie or tart pan. Fill bottom of pan with pie weights (I used uncooked rice instead of pie weights, because I didn’t have enough pie weights to fill this tart pan.) 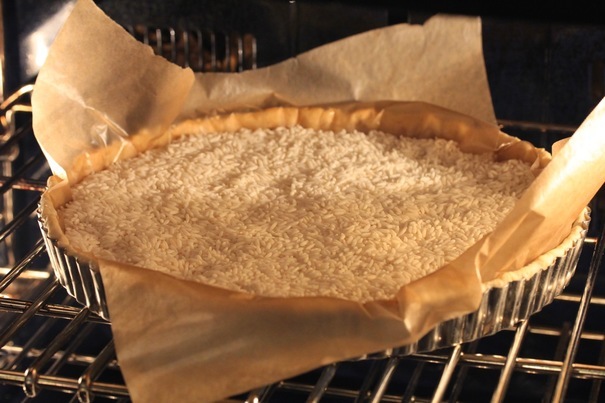 Bake pie crust for 20 minutes at 450 degrees. Remove from oven and allow crust to cool. 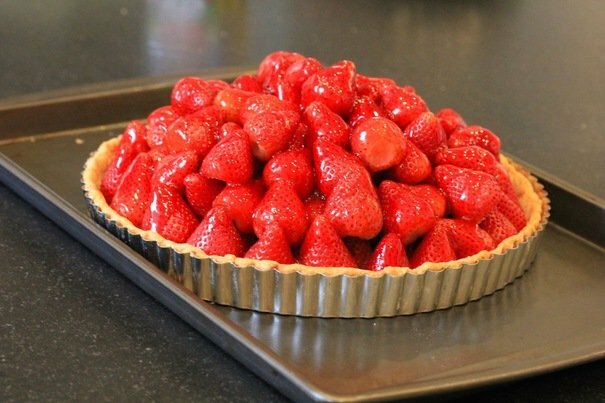 Clean and trim strawberries, and mound them inside the pie shell. Set aside. In a saucepan, combine water, sugar and cornstarch. Boil until clear. 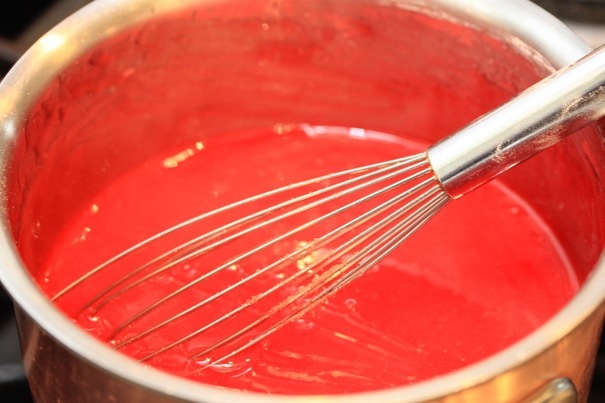 Remove from heat and add jello powder. 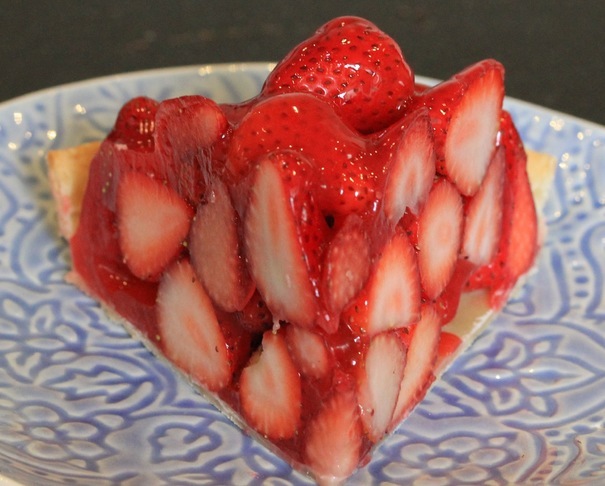 Spoon glaze over strawberries – just enough to make them shiny – don’t overdo it or the glaze will seep into the base of the crust and make it soggy. 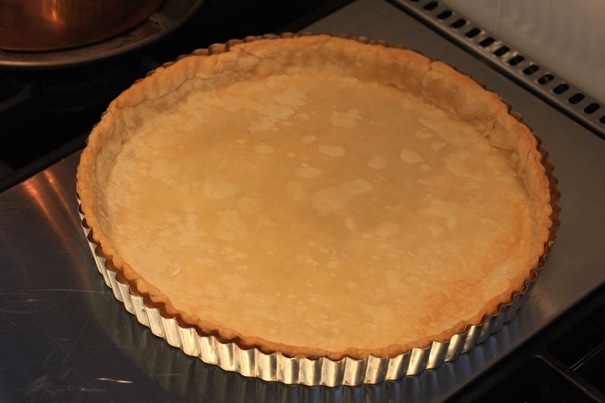 Store pie in refrigerator until just before serving. Cutting the pie is easier than you think because the gelatin holds the fruit together very nicely. You can turn this delicious dessert into a super-healthy and low calorie treat by leaving out the crust completely. 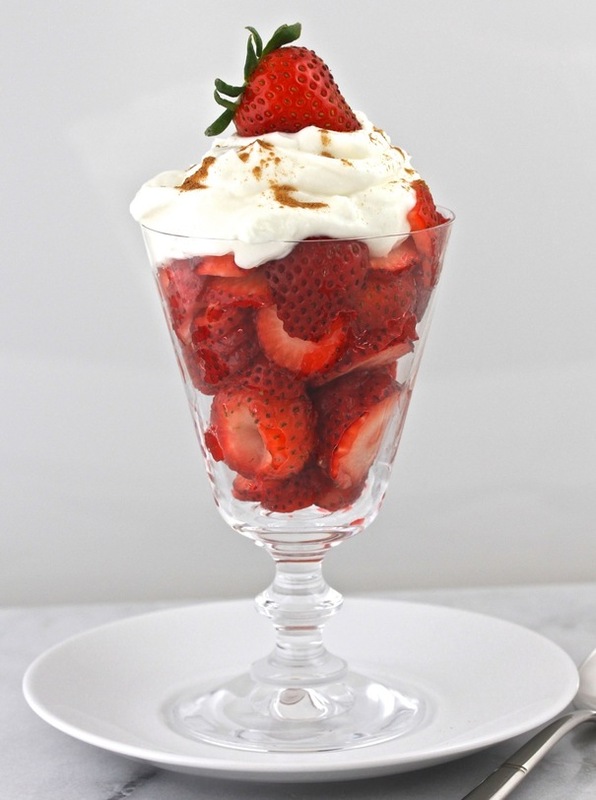 Use sugarless jello powder to make the glaze, replace the sugar with stevia (1/2 cup of stevia is the same as one cup of sugar), and top with Greek yogurt instead of whipped cream, and serve in individual dessert glasses. SO easy and so good!